We are ideally located in the heart of Nice, close to some of the major downtown shopping centres. We are only 5 minutes walk from the central railway station SNCF and maximum 15 minutes walk to the Promenade des Anglais and beaches. There are tram and airport shuttle bus stops close to the Backpackers Chez Patrick. We have dormitory style rooms with 4 and 6 beds per room as well as twin and a 3 bed private room (please note: 3 bed private consist a double bed, bunk bed and for 2/3 people ). Our rooms are comfortable, clean, and safe and a perfect place to relax. Linen and city taxes are included in the room rate and blankets are provided. All guests are provided individual keys to enter the hostel at all times. A refundable key deposit (20 euros) has to be made and the deposit will be refunded upon return of the key before check out. Please note: there is no kitchen, we do not provide breakfast. The hotel is located right in the middle of a shopping street with a choice of cafes and restaurants. The hostel staff will be happy to help you in any way - from advising on the best places to visit whilst in Nice and the surrounding areas to recommending restaurant, pub or cafÃ© of your choice. Many attractions are within walking distance from the hostel: - The old town, which has excellent restaurants, cafÃ©s and bars, pubs and nightclubs for those who like to enjoy night life - The Flowers Market on the Cours Saleya - The shopping street Place Massena with restaurants and cafÃ©s on terrace - The Acropolis Congress Centre and many other interesting sites. Whilst in Nice at our hostel, you can also visit other Cote d'Azur towns and small villages such as Saint Paul de Vence, Eze, Cannes, Grasse, Antibes, Monaco for just 1,00 euro by bus. IMPORTANT NOTES: ** Please note that any cancellation or change must be notified directly to the hostel at least 48 hours before arrival date, only by e-mail. In case of late cancellation the total of first night of each guest will be charged. ** In order to secure your reservation, we will charge (in advance) your first night to your credit card after the 48 hours cancellation period has ended. The hostel reserves the right to refuse booking if credit card is invalid ! 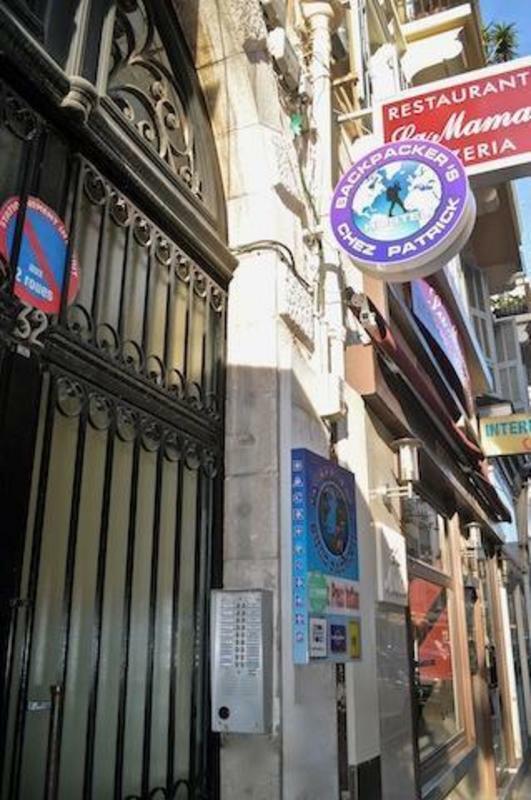 ** Please note that Backpacker's Chez Patrick hostel's LOCKOUT TIME from 11:00 - 14:00, during which we clean the rooms. From the Gare SNCF (train station) a walk only 5 minutes. Please exit the Gare SNCF (train station) and turn left after coming out of the main gates of the train station, walk up to Avenue Jean-Medecin and cross the street you will see KFC and turn right and continue walking of the avenue up to the second street, which is the Rue Pertinax. On the corner of Rue Pertinax you will find a pharmacy and restaurant Hippopotamus, to the opposite on the right side is the McDonalds. Turn left into Rue Pertinax and the first apartment building is Backpackers Chez Patrick hostel. The door number is 32. Press the button Backpackers Chez Patrick (its very important for check-in) to open the door and go up one floor up from the ground floor. From the Nice Airport: ? Take bus number 99 (tickets 4 euros) which leave the airport Terminal 1-2, every 30 minutes. The bus will bring you to the Gare SNCF (train station). ?There is no bus services from the airport to the Gare SNCF (train station) after 22:00, so you have to take a taxi (approximately 30 euros) or take bus number 98 (last departure 23:45) which leave the airport Terminal 1-2 to the direction Nice Centre via the promenade des Anglais and get off at Nice's Old Town then take tram direction of Las Planas and get off at GARE THIERES SNCF and turn right continue walking of the avenue and follow same direction.?? NOTICE TO OUR GUESTS: ?Please note that Backpacker's Hostel Chez Patrick is located only on the first floor and please do not confuse us with the restaurant on the ground floor!? Check-in: We do not have 24 hour check-in reception. ?The rooms are available from 14:00. Should you arrive before 14:00, you may leave your luggage at the reception. If you are arriving after 23:00, please kindly inform us in advance by phone or e-mail to arrange you check-in. Please note there is no possibility to check-in after 00:30 am. ?? Lockout time: 11:00 - 14:00, during which we clean the rooms.